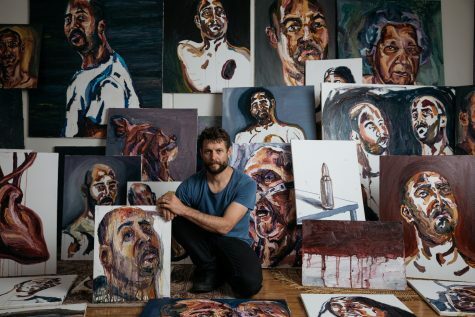 Ben Quilty with Myuran Sukumaran Paintings. Posted January 12, 2017 by Greg Webster & filed under Arts & Entertainment, Exhibitions, Gallery & Museums. It’s not two years since Andrew Chan and Myuran Sukumaran were executed on Nusa Kambangan Island. Chan, reportedly wearing his favourite Penrith Panthers jersey, led the group in a rendition of ‘Amazing Grace’, but before they finished their lives were ended in a brutal hail of gunfire. The final picture was a far cry from the scenes that accompanied their arrest and conviction for drug trafficking a decade earlier. Chan, the mastermind, and Sukumaran, the strong man – or at least that’s how they were then portrayed by the media. 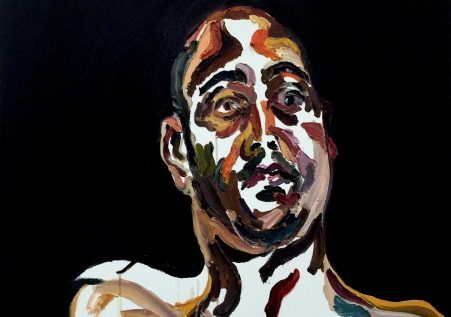 Self portrait by Myuran Sukumaran. Chan and Sukumaran’s personal transformation throughout their time in Kerobokan was striking. Chan’s conversion to Christianity and founding the church within the prison, along with Sukumaran’s work in establishing the educational facility and art studio, was met with cynicism in some quarters – and yet that they were radically changed is really beyond question. Quilty, surprisingly, attributes much of this to the Indonesian prison system itself. 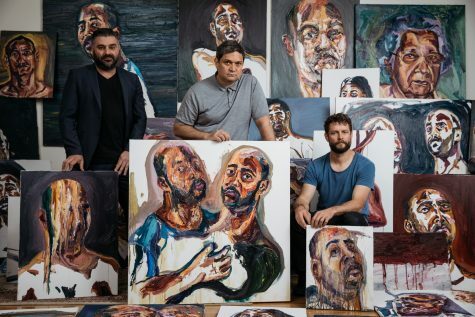 Exhibition curators Michael Dagostino and Ben Quilty with Sydney Festival Director Wesley Enoch and Myuran Sukumaran paintings. Along with Sukumaran’s moving and often disturbing paintings, Quilty and co-curator Michael Dagostino have rounded out the exhibition with a range of works by other artists. The common thread is that they are all from multicultural and marginalised backgrounds. As an exhibition, Another Day In Paradise picks at issues that are complex and loaded – matters of forgiveness and compassion, redemption and change, the human condition, the barbarism of state sponsored killing, and of what we want to be as a society. It’s about initiating and continuing a conversation about matters that might have been otherwise taboo.